Body jewellery and gold, an excellent combination. 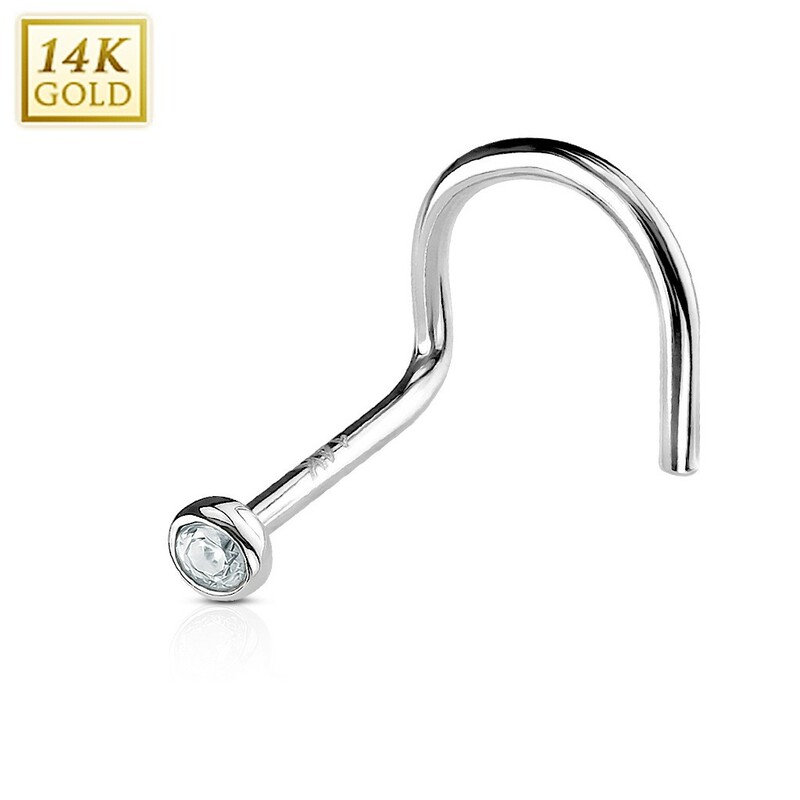 The same goes for this solid white gold screw nose piercing. This nose piercing will always keep its gold look, as will its value. This nose piercing carries a firmly placed crystal of 2 mm in size. The crystal emits a soft glimmer. 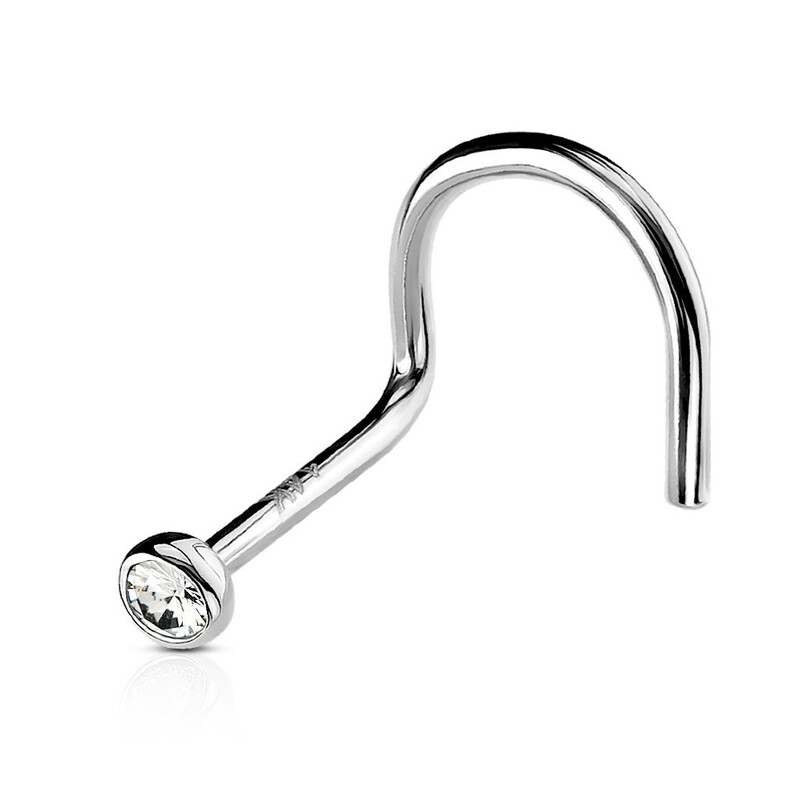 Thanks to its screw shape this nose piercing will keep firmly in place when worn.